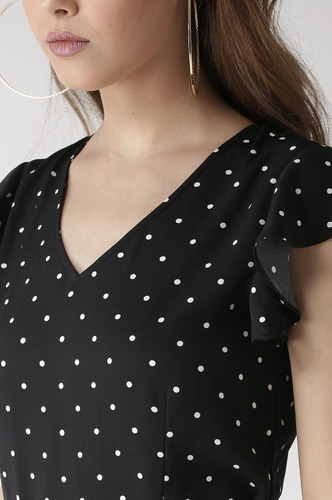 The classic polka dots are getting an edgy make-over. 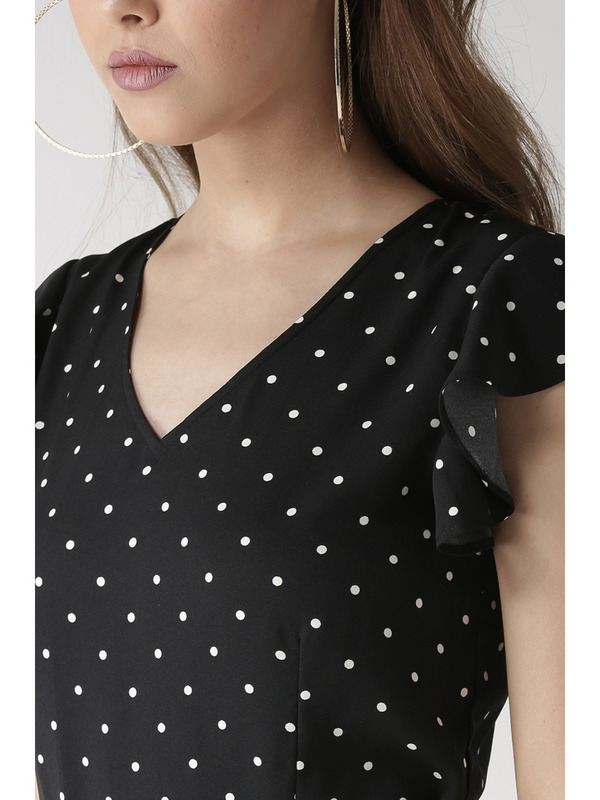 Your casual looks surely deserve a hint of freshness with this dotted fix for your vacation wardrobe. Accessorize with: Pair it with strappy stilettos, tote bag and dangling earrings to enhance those easy-breezy looks. 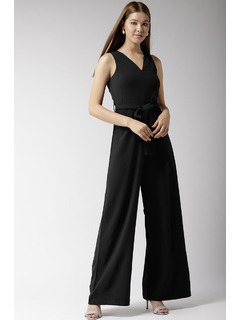 Black and white polka printed Polyester Moss Crepe Jumpsuit. V neckline with ruffled sleeves. Tie-up at the back & center back zipper for fastening & ease.